By Ian Pollard in News and Views, Uncategorized on 6th April 2017 . M.P. Evans Group MPE enjoyed an excellent 2016 and like for like profit for the year to 31st December more than doubled, rising from from $7.8m to $16m. Total dividends for 2016 will follow suit with a rise from 8.75p in 2015 to 20p (including a special dividend of of 5p per share) and even more is promised for current year when total payments of 25p per share are expected. The board is said to be excited about the addition of significant new plantations. The share price after steadily declining for a number of years, has recognised the transformation in palm oil prospects, rising from 415p in mid October, to todays 750p. Homeserve HSV updates that it has had a very good year and expects that results will be at the upper end of market expectations. Customer growth in the UK was at a fairly modest 1% but in the US, there was significant expansion. The CEO is delighted with the company’s performance and promises that there will be further strong growth in the current year. Electrocomponents ECM Expects that after a strong fourth quarter, results for the year to the 31st March will be ahead of previous expectations and headline profit before tax will be ahead of current market consensus. Revenue growth in quarter 4 accelerated to 8%. strong recovery was seen in North American and Pacific growth and a continuation of robust growth in Europe.But, both revenue and profits have benefitted from significant foreign exchange movements and additional trading days in 2017. 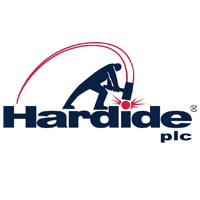 Hardide HDD First half sales to the Oil & Gas sectors have more than doubled compared to 2016 and overall trading is comfortably ahead of both first and second half performances in 2016..
easyJet EZJ March passenger statistics showed a rise of 10.6% over March last year and load factor grew further to 92.7% up 1.4% on a year ago. Murgitroyd Group MUR enjoyed a strong third quarter with a 6% rise in revenue over the previous year, leading to a much improved trading perfrmance, ahead of revised internal forecasts.